EDINBURG — UTRGV men’s basketball coach Lew Hill scheduled a home game against NAIA opponent Our Lady of the Lake four days before the start of WAC play because he wanted to see how his team would respond. Would the Vaqueros come out slow expecting an easy win? Or would they attack from the jump? 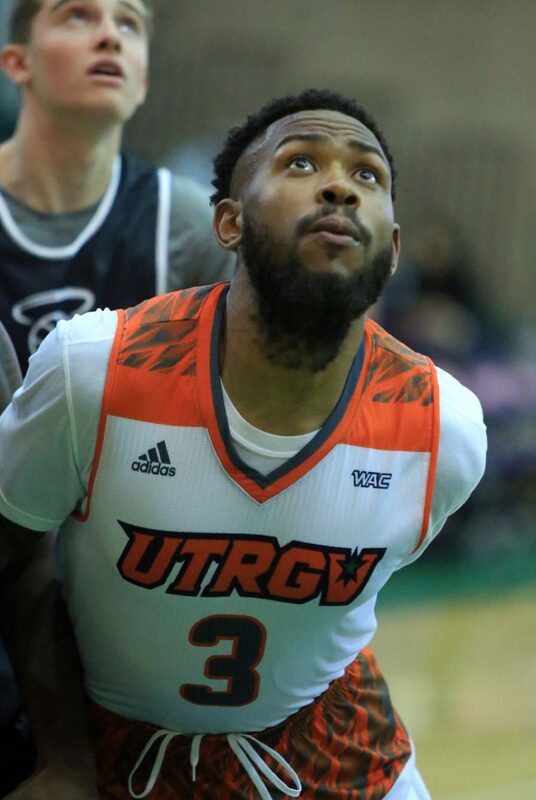 UTRGV built a 20-point lead in less than eight minutes, with seven players eventually scoring in double figures as the Vaqueros downed the Saints 96-75 on Tuesday at the UTRGV Fieldhouse. University of Texas Rio Grande Valley's Marlon Williams (24) attempts a basket against Our Lady of the Lake in a nonconference game at the UTRGV field house Tuesday, Jan 1, 2018, in Edinburg. UTRGV (8-8) travels to UMKC to open WAC play at 7 p.m. Saturday. The Vaqueros program has finished in the bottom two of the conference standings in each of its four years in the league, last season posting a 2-12 mark to rank seventh of eight teams. As usual, New Mexico State looks to be the class of the league, posting a 12-3 nonconference season that included wins over Illinois and Miami. Grand Canyon, eligible to compete in the conference tournament for the first time, enters the WAC season at 10-5. Utah Valley boasts an 11-5 mark despite scheduling powerhouses Duke and Kentucky to open the season, and Seattle U also appears formidable at 11-6. Bakersfield, last year’s regular-season champ, is only 7-8 entering the conference slate. UTRGV was without four players on Tuesday due to injury. Freshman guard Greg Bowie was not on the bench as he goes through the concussion protocol, and fellow freshman guard Javon Levi sat out after turning an ankle during Monday’s practice, Hill said. Forward Johnny Crnogorac missed the game for precautionary reasons after suffering a shoulder injury during UTRGV’s win against Hampton on Saturday. Jordan Jackson was also unavailable for UTRGV and has not played since Nov. 30 due to a groin injury. “We should have a few of them back for UMKC,” Hill said. UTRGV put Tuesday’s game out of reach early, jumping to an 8-0 advantage in less than two minutes. The scorching offensive start lasted about eight minutes, as UTRGV hit 13 of its first 18 shots (72.2 percent) to build a 33-11 lead at the 12:23 mark of the first half. UTRGV showed signs of taking its foot off the gas early, as seldom-used walk-on Marlon Williams checked into the game at 6:52 of the opening half. The Saints pulled as close as 13 early in the second half, but the Vaqueros quickly regained control with an 11-2 run. The only drama was whether UTRGV would crack 100 points for the fourth time in two seasons under coach Lew Hill. Though the Vaqueros came up just short of the milestone, Williams scored his first career basket, earning a steal in the full-court press and converting an easy layup. 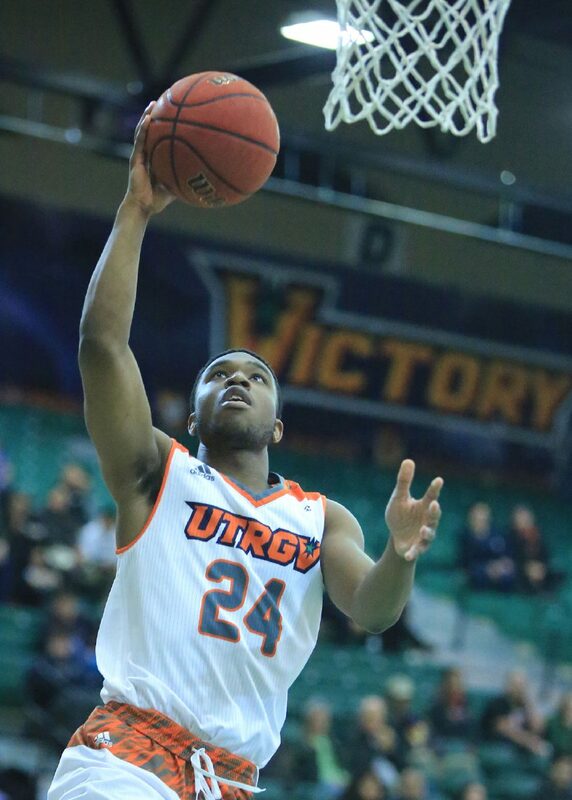 Seven UTRGV players scored in double figures: Xavier McDaniel Jr. (17), Lesley Varner Jr. (14), Nick Dixon (14), Terry Winn (14), Moe McDonald (12), Dan Kimasa (10) and Mike Hoffman (10). Lew Stallworth cracked double digits in a different category, racking up 10 assists against two turnovers. As a team, UTRGV notched a season-high 26 assists. Winn, playing his third game of the year after sitting out the fall semester following a transfer from UTEP, continued to increase his minutes as he recovers from a knee injury, playing 21 with 14 points and 10 rebounds.